Surely can’t be time for the flat season already!? SERIOUSLY!! I mean my brain still hurts from the Cheltenham battle we all just indulged ourselves in! I was, as always, hoping for a bit more down-time to recharge the old grey cells, which seem to take longer and longer to recover from the festival pounding each year! No point in in trying to make any sense of it though, the flat is here and it’s damn well ready to engage first gear, with the Lincoln field set to gun it down the Donny straight at 3:35 on Saturday, and I’ll deal with it the only way I know how; with some good old NTF Race Trends profiling. Unsurprisingly I’m still in full NTF NH mode at present (I’m currently pulling together my race trends preparations for the NTF assault on the Aintree National meeting) as I don’t fully make the switch to the flat side of the tracks until around Newmarket Guineas time. However, as the jumps game is currently plodding through the horrifying void that is the Cheltenham/Aintree limbo land (what a nasty place that is!) I wanted to take a little deviation into the flat stuff for the opening day of the 2019 season. For me it’s a brilliant chance to get a ‘Trends sighter’ for the flat season that’s to come, an opportunity to waken the flat side of my brain in preparation for the flat analysis that takes up the largest chunk of my summer. The Lincoln is also a race that is prime for my post-race flat methodology (horses running well from the wrong side of the draw) but it’s also a worthwhile race to tackle pre-race as well, particularly from a trends perspective and occasionally from a draw point of view. The 22 runners blitzing down the straight Donny mile won’t inevitably split into two or three groups but even within one large group there’s a good chance of a pace bias at play and that can boost the chances of some, whilst inconveniencing others, leaving them with nothing substantial to aim at as they make their surge to the line. Unfortunately it’s very hard to determine where the pace is likely to come from this year, with ZERO confirmed front-runners in the race. If pressed I’d hazard a guess that THIRD TIME LUCKY (Stall 7) and/or RAYDIANCE (Stall 13) will be at the head of affairs, although that’s not something I’d bet my life on. Essentially, pre-race, it’s a bit of a guessing game this year as to where the pace is likely to be housed and this could be a relatively ‘slowly’ run Lincoln. Next I want to take a look at the race trends to help us whittle out the pretenders and focus our attentions on the trends contenders in the 22 strong field. Of that five RAYDIANCE would be the one I’m least interested, given that both of the 4yo’s wins have come on Soft and he’s 0/3, 0p on quicker ground. He’s also 0/3, 0p in fields of 8+ (21123 in fields of 7 or less) and I’m far from convinced he’s a large-field lover in the making. Add in the fact that Karl Burke is only 6/119 | 5% S/R with his turf runners running off a 90+ day break in March-May and it’s easy enough to pass this lad up. …and they are not that easy to split! SALTONSTALL fizzled a bit in the second half of his season last year but he looks on a dangerous mark again (OR 100) and he’s got decent form under these conditions… 7f-1m | C2 level & below | OR 100 or less = 1-2-1-2 (2/4, 2p – both career wins, 3 of those runs came in fields of 13+). His new yard are also in banging form (111213930 last 14 days – 15th to 28th March). KYNREN is a horse I’ve long thought has a decent pot in him (went very close a number of times last year) and OR 98 shouldn’t be beyond him. He ran a big race in the Spring Mile on this card last year (3rd of 20) so we know he goes well fresh and handles the track. I have a small worry that his jockey Robert Winston isn’t riding the track quite as well these days (5 year stats of 3/83 | 3.5% S/R – 61% below expectation) and he may also struggle from his 22 stall as although there isn’t really any pace anywhere in the race it’s looks REALLY short on pace from the high numbers (again though that is hard to accurately call). SOUTH SEAS is another that comes from a yard that’s bang in form (Kirby has 7 day stats of 112817961105 – 21st-28th March) and in Jamie Spencer he’s got a jockey who rides the track exceptionally well (5 year stats of 35/177 | 20% S/R – 35% above expectation). Worries would be he’s yet to place in 5 starts in large fields (74600 in 12+ runner fields) and he’s yet to win in 8 starts over 7.5f-1m. Spencer on top for the first time could, however, be the right man to help him navigate the big field. BERINGER showed plenty of progression last season and although he spend all eight of his starts racing over 1m2f you wouldn’t think the drop back to 1m would be any worry, given how well he can travel throughout his races. If there isn’t a breakneck pace at play, however, I guess that could play against him on the drop back in trip. To level that out he does have a Doncaster specialist on his back in Atzeni, with the jockey holding 5 year stats of 55/127 | 25% S/R – 46% above expectation. …although I wouldn’t be passing over Beringer lightly. 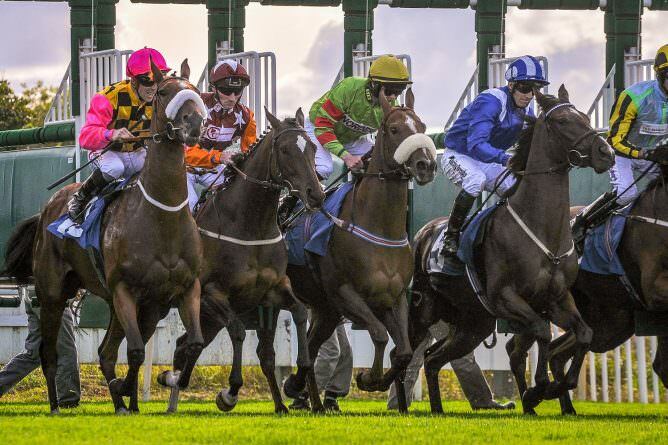 8f races at Doncaster – 5yo’s drawn higher than 17 are 0-139. 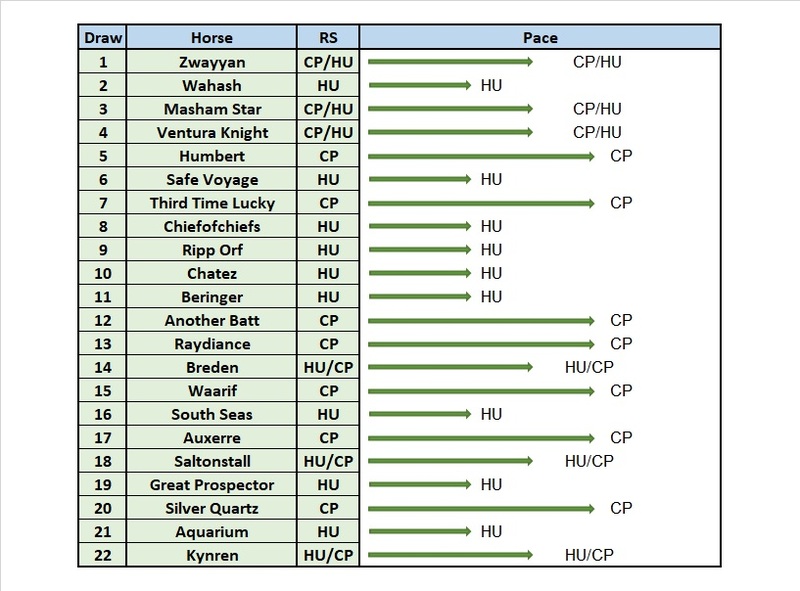 Saltonstall and Kynren are both 5 year olds and both drawn higher than 17. Can’t see how being a certain age would mean you would run poorly from a certain section of the draw? Those stats do exist (couldn’t find the exact trend myself, have been a couple 5yo’s that have won from a high draw at Donny) but the fact that 4yo’s and horses older than 5 have won from the high draws means the 5yo stat is surely coincidental? No logical reason why being a 5yo would make a horse run poorly from a high stall at Donny? but when they are younger they could manage it and when they are older the could also manage it? Thanks Ben. I tend to agree with you in that you can take the stats angle too far and end up tying yourself in knots. One question that always has to be asked is how many have actually tried under those circumstances. Stats on their own in my opinion are meaningless. It’s the interpretation of them that counts.